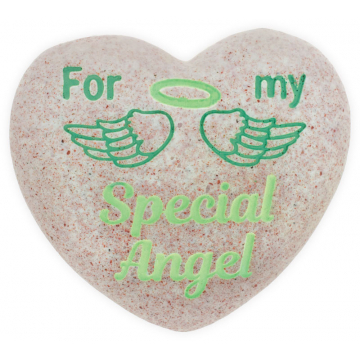 Soft pastels and a smooth stone finish pair perfectly on this heartfelt Pocket Stone. 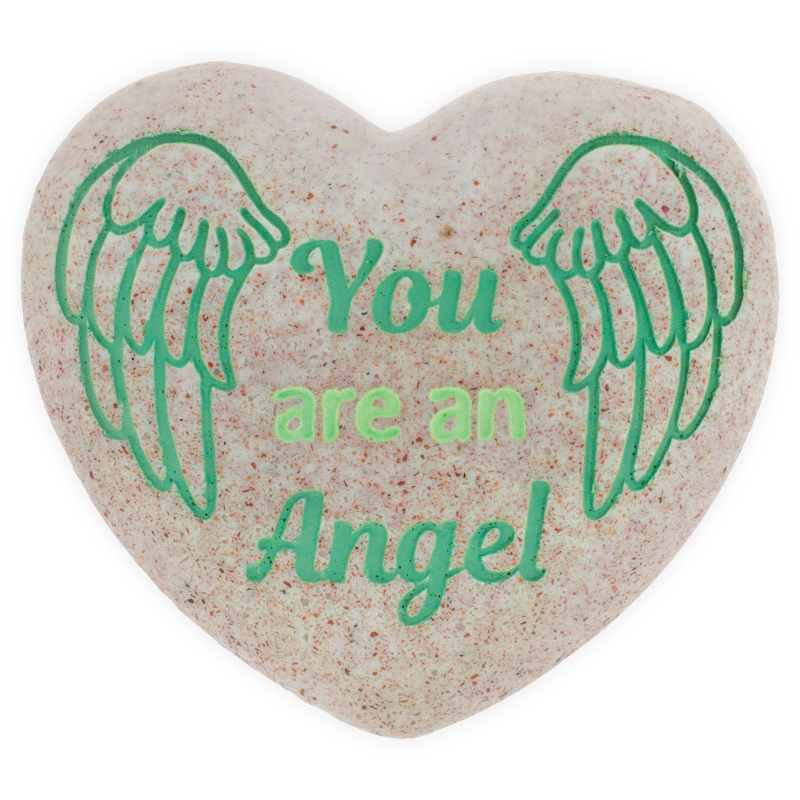 This pocket stone is made in a softly colored resin stone, with powerful sentiment engraved on both sides. 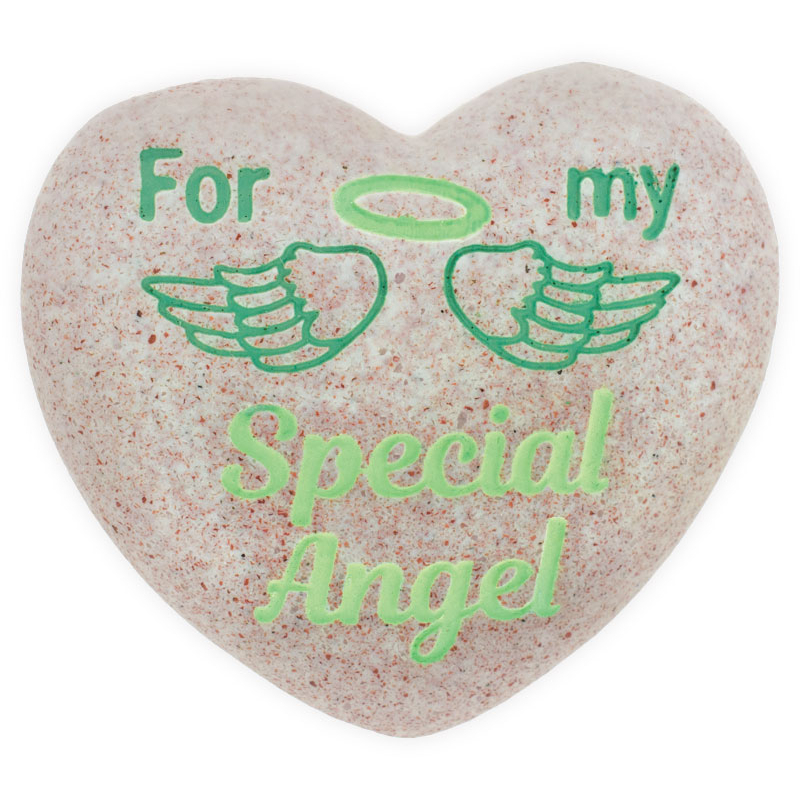 The front reads "For my Special Angel" with adorable wings and "You are an Angel" on the back. 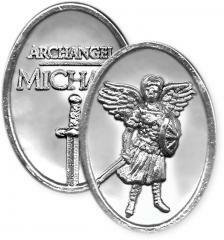 They are wonderful touchstones to carry with you or give as a gift.